Where Will the Next Big Bull Market Come From? The golden age of stock investing is over. That’s the word on the Street. Equities are too expensive, growth is too slow, and aging baby boomers will just be a drag, man. You should take all of this seriously. There’s a funny thing about bull markets, though. By rule, they never announce themselves. This is particularly true of the powerful breed that propels stocks for 15 years or longer as opposed to simple rebounds. Those bulls are the result of the world changing in ways that fundamentally surprise investors, driving prices up to adjust to what’s new. Even the smartest of the smart money doesn’t always see this turn coming. Maggie Mahar, author of Bull: A History of the Boom and Bust, 1982-2004, notes that Warren Buffett was keenly concerned about inflation in early 1982. “Our views regarding long-term inflationary trends are as negative as ever,” the Oracle wrote in a letter to Berkshire Hathaway BERKSHIRE HATHAWAY INC.
shareholders, just as double-digit inflation was about to slow and stocks were about to enter an 18-year bull charge. There’s a good chance you’ll see another run like that within your investment lifetime. It may not happen immediately — the corollary to the rule of powerful bulls is that megabears, like the one that began in 2000, also tend to last for more than a decade. The turn, though, will eventually take place. So, with due respect to the smart pessimists out there, here are three reasons the future may be more bullish than you think. You’ve probably heard this bearish argument: The aging of the boomers will be a headwind for the market for years to come. The first wave has already hit retirement, which means these investors will soon shift from aggressive equities into more conservative bonds. Boomers, though, aren’t the only demographic to watch. Here come the millennials. Born between 1981 and 2000, they are actually 12% bigger as a group than boomers. They haven’t gotten credit yet for being as influential an economic force, but that’s understandable. “Millennials may be helpful down the road, but they’re too young now,” says Ben Inker, co-head of asset allocation for the money manager GMO. There’s also the fact that the recent recession hit this younger cohort particularly hard: Since 2009 the unemployment rate among 25-to 34-year-olds has trended higher than for most other groups. This generation is also graduating from college with the highest amount of student loan debt, and has had to put off many typical transitions of adulthood, such as buying a home. He doesn’t simply mean on the economy. Boomers made up the vast majority of new equity investors in the early to mid-1980s. And their introduction coincided with a bull market that drove the S&P 500 to annualized returns of 19% from 1982 through 1999. So far, fewer millennials seem willing to embrace stocks, but that’s because they’ve witnessed bigger bear markets than bulls, which explains why they hold more in cash than their parents. A survey by MFS showed that twentysomethings are investing nearly 29% of their portfolios in cash, vs. 26% for the boomers. As millennials move into their thirties, though, they’ll probably shift into equities — begrudgingly or not — as they start seeding money in their retirement accounts. That should pick up the slack created when boomers age out of stocks, says David Darst, chief investment strategist at Morgan Stanley Wealth Management. Plus, it won’t require a lot of effort on their part. 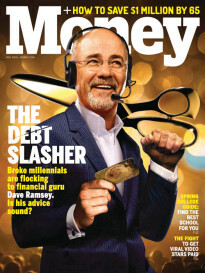 Whereas boomers had to sign up for 401(k) retirement plans or brokerage accounts, many millennials are entering the market through 401(k) auto-enrollment plans, which deduct savings contributions from your paycheck even if you don’t sign up. 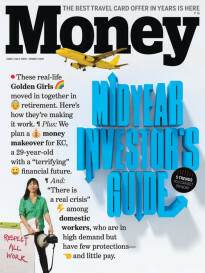 Many of these plans default workers into target-date funds, which own stocks and bonds in a mix that an investment manager decides is appropriate for a set retirement date. For young workers, this means that most of their money could be automatically invested in equities. The boomers’ drag on stocks is overblown anyway. They aren’t all retiring at once. Nearly two-thirds range in age from 49 to 59, meaning the bulk of this group may not leave the workforce for another five to 15 years. Even in retirement, boomers won’t need to convert their portfolios into income immediately, since retirement is a 30-year-plus proposition. Moreover, as with every generation, the group’s wealth isn’t evenly distributed. A 2009 study by the Congressional Budget Office found that about a third of boomers own virtually no stocks, while the top 10% controls two-thirds of all the financial assets held by this group. High-net-worth boomers won’t need to sell most of their stocks to live on — they’re likely to pass those on to their heirs. Generational shifts abroad will also help lift the market. Not every demographic trend that matters to you as an investor is taking place within U.S. borders. In the emerging markets, for instance, incomes are growing and the median age of the population skews young — for now. History, though, shows that as young populations age, stock prices in those markets tend to climb. Alejandra Grindal, senior international economist at Ned Davis Research, studied the relationship between stock prices and demographics going back to 1900. She and the firm specifically looked at the mix of middle-aged (defined here as 35 to 49) and young people (20 to 34). In the U.S., the so-called M/Y ratio surged during the post-World War II economic boom and bull market, and again throughout the bull that began in the early 1980s. And after sinking since the early 2000s, America’s M/Y is expected to soon turn around, as the first wave of millennials hits their mid-thirties. Columbia Management fund managers Dara White and Robert Cameron explained this phenomenon in a report last year: “When individuals start reaching middle age, incomes generally peak, and there is a greater propensity to save for retirement.” And those savings are typically put to work in financial assets. In many emerging markets, such as Brazil, India, and Indonesia, the M/Y is climbing. That’s likely to boost those markets, and the U.S. as well. “People around the world like U.S. stocks,” argues Turner. Market booms often coincide with a wave of innovation that rouses enthusiasm or changes the way the economy works. Think back to the 1800s with railroads and steel. In the mid- to late 1990s, the dotcoms led the way. The smokestack revolution. In the energy sector, new drilling and exploration technologies have made it possible to tap underground reserves of oil and natural gas once thought to be out of reach. The result: Natural gas has fallen from roughly $11 per thousand cubic feet in 2008 to $3. This development is already ricocheting throughout the economy. For example, cheap energy is creating a surge in growth among U.S. chemical manufacturers, which are reliant on natural gas to manufacture their products, notes Dennis Bryan of the FPA Capital fund. And because factories are big users of energy, manufacturers in general are also likely to benefit. In fact, cheap energy is already spurring a revival in the American industrial sector. U.S. manufacturers are closing the gap in costs with overseas rivals. The next big chapters in tech. With more than 5 billion mobile devices and the advent of cloud storage, the world is awash in data. Users of Facebook alone share 30 billion pieces of digital content every month. Given this, the McKinsey Global Institute predicts “analyzing large data sets — so called big data — will become a key basis of competition,” unleashing new waves of productivity growth and innovation. Another leap could come in 3-D printing technology. It has been used for years in heavy industry such as autos and aerospace. As costs fall, it could branch out to other parts of the economy. Already, you can scan a key and make an exact replica in nearly any material or color through a 3-D printer. You can even make edible cupcakes. History shows new industries put older ones out of business, but they also help grow the overall economic pie, which can boost the broader market. This is particularly true of energy and tech, which make up a third of the S&P. Cheap energy can lower costs and help prop up profit margins for any business that requires fuel to manufacture or distribute its goods. And new technologies to analyze data or manufacture goods can also help companies across the economy be more efficient and productive. Even if these trends were to come to pass, aren’t stocks priced above their historical average? And won’t high valuations prevent a new bull market from being born? The answer is yes and no. By the most conservative measure, the market isn’t cheap. Based on 10 years of averaged profits — which smoothes out the extremes in the corporate earnings cycle — the market’s price/earnings ratio is about 21, compared with the average of 17.4 for the past 83 years. This gauge is called the Shiller P/E, after Yale economist Robert Shiller, who showed that stocks tend to deliver low returns when this number is high. Cliff Asness, who runs AQR Capital Management, crunched the data and says U.S. stocks are likely to return an annualized 1% after inflation over the next decade. That’s based on the average, though. Historically, real returns have ranged from 8% annual gains to annualized losses of 4%. Moreover, a study by Vanguard found that while Shiller P/E’s are useful in forecasting long-term returns, they explain only 43% of the market’s moves. Another popular valuation gauge shows stocks to be prime for a bull. This measure looks just at the past 12 months of earnings. According to it, stocks are trading at a P/E of 16.1, compared with the historical average of 17. So which should you trust? While the Shiller P/E is credited for calling the 2000 and 2008 crashes, the Vanguard study found that one-year P/E’s have nearly as good a record at forecasting long-run returns going back to 1926. Cheap or not, who’s to say valuations can’t climb higher? The optimists point out that P/E ratios are even more attractive today after you factor in record-low interest rates. The average P/E in this type of rate environment is actually 30% higher than it is now. There’s also the argument that valuations could rise once investors shake off the anxiety that the financial crisis has left behind. Neither the 1950s nor the 1980s bulls were built on explosive earnings growth, he notes. The primary driver of those rallies was the willingness of investors to pay higher and higher prices for each $1 of profits that companies were generating — in the ’80s because of falling rates, and in the ’50s because of growing confidence. On Wall Street, this is called P/E expansion. Sometimes, it simply takes time for P/E expansion cycles to re-emerge after a great bull has run its course. Jeffrey Kleintop, chief market strategist for LPL Financial, notes that following the 1950s bull, it took two decades before investors were willing to pay up for earnings again. In the wake of the ’90s bull, valuations haven’t contributed much to market returns since 2000. Has it been long enough for this cycle to reverse? Perhaps not. At the very least, though, a new bull is within the realm of possibility. And that’s reason enough to keep faith with stocks.